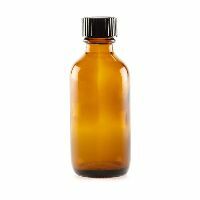 We hold expertise in making available top-notch quality Baby Herb Tonic at modest prices. Owing to our strong collaboration with certified vendors, we offer the best in line Baby Herb Tonic to our nationwide buyers. Offered at the best market prices, our Baby Herb Tonic comes in different packaging sizes. 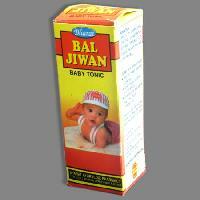 We are renowned Supplier of Baby Herb Tonic based in Madhya Pradesh, India. 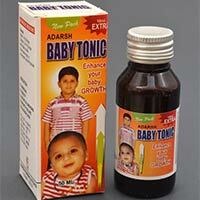 We are engaged in offering top quality Shahi Baby Tonic that is made from premium and effective herbs. 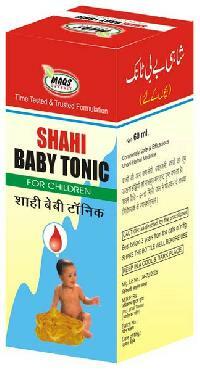 Shahi Baby Tonic, that we provide, is ideal for all children in strengthening their body and skeleton. This Shahi Baby Tonic also improves their digestion and enhances body weight. Key Ingredients : Badiyan Podina Khushk Zanjabeel Anisoon Zira Safaid Aslassoos Aab-e-Chuna Soya Packing : 60/100 ml. Ayurveda has a special focus on child care. 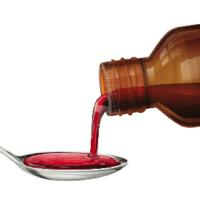 Ayurvedic preparations of child herbal syrup, child herbal tonic have been used to build an healthy body and sharp intellect right from the time of infancy for thousands of years. Clients can rely on us for meticulous packaging of the products. And, for attaining this objective, we have hired a team of professionals who make use of premium material and modern packaging tools for doing the same. Carrying out systematic quality process at every stage, we keep our quality standards high to gain customers' satisfaction. 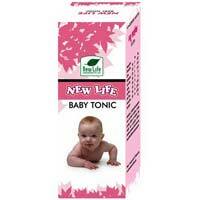 The company has emerged as a prominent Manufacturer and Supplier of Baby Tonic . 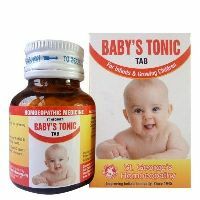 The Baby Tonic, offered by the company, effectively fights against the discomfort associated with teething and the disorder due to heavy artificial feeding. 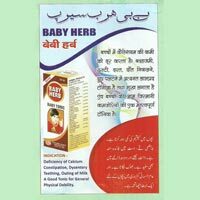 Additionally, problems like indigestion of milk, constipation, stomach issues, flatulence, acidity and cough can be cured with the help of the Baby Tonic. Packing : 50 ml. Shahi baby tonic, made from premium and effective herbs is ideal for all children in strengthening their body and skeleton. We offer infant tonics which is a clinically proven digestive tonic for newborns and infants which improve apetite, promotes weight gain and healthy growth and keeps babies free from digestive upsets, Colic, Grips, Gas, Dysentery & Constipation.